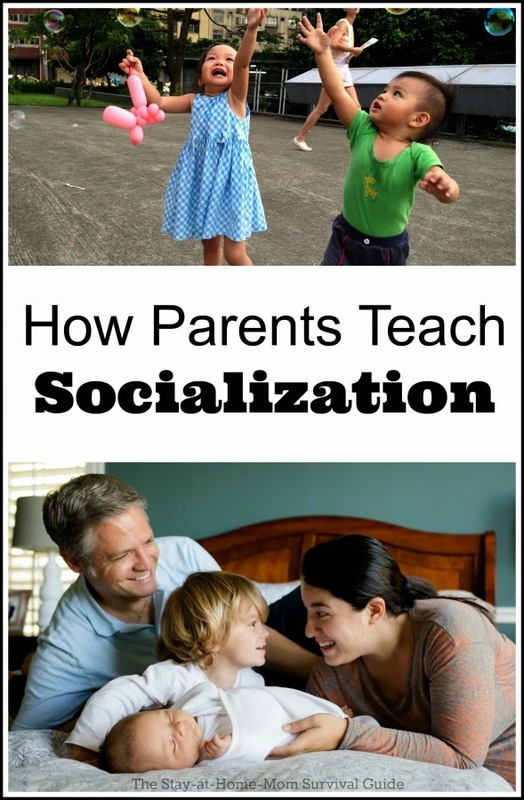 Socialization is the most over-used term in the parenting world-and early childhood education world-these days…and often the most misinterpreted. We stay-at-home moms are not depriving our children of proper socialization, we are actually providing the best form of it. Most parents think that they NEED to engage their infant-through-preschool child in playgroups, enroll their child in daycare centers, or host playdates at their home in order to socialize their child. I truly believe that the playdates and playrgroup options above are great, when done in moderation, but they are by no means necessary to raising a competent child.Are you a human being? Do you interact with your child? Then, I am happy to tell you, you are socializing him! I stopped attending a playgroup when my son was about 18 months old due to the poor influence that some older children had on the group. The older boys behaved in a way that I did not want my child emulating, and so since he was following their lead at the time, doing what they did, I chose to stop attending until I could be sure that he was going to listen to my corrections in those situations. The impact of exposure to negative behavior is greater than we think. Those of us who socialize our children with other children at playdates, etc. know that sometimes our children follow the wrong lead, or make a bad choice many times. I am a firm believer in socialization with adult supervision and exposure to many new situations and experiences while you can be present to observe and interject when necessary. This gets the bad rap of being considered ‘helicopter parenting’, but up to a certain age, it is necessary. If your child is being socialized around other children with you not around, you will not have knowledge of all they are doing or how they are acting all the time. How do I as a stay-at-home mom ensure my child has enough socialization? 1.My children often go to doctor’s appointments with me. They have to learned to sit quietly, occupy themselves, and support their mom. They are not perfect angels when they first have to sit in their infant seat or stroller in an appointment, but over time they do learn patience. I bring along toys, books or we walk around the waiting room. Parenting is not always easy, but teaching life lessons requires hard work. Yes, I have had children throw a tantrum in the exam room. One child cried in his infant seat while the doctor was examining me, but once the doc was done, I took my son out and he was fine. We have to recognize as a society when adult intolerance of children’s needs are harmful and not helping in the long-term! 2.My children go grocery shopping with me. They ask for treats and food items, but learn they can not always have what they want, they learn to stay by the cart, say ‘excuse me’ to adults, identify food items to help me put them in the cart, and make frugal and healthy choices. Again, I do not have one perfect child. It has taken years of me exposing them to situations by taking them along with me. They still need a lot of learning opportunities! 3. My children go with me to run errands. Talk about teaching waiting and patience skills! They go to the post office. (That even teaches me more patience!) They go to the car repair place and the pharmacy…they are exposed to so many new situations and learn how to act in each one. It is a learning experience. They see a lot of different people of different ages, not just their own age, and, most they are interacting as part of their family unit: They are learning what team they are on, who the team leader is, and that they have a say as well as a requirement to participate.My oldest two learn what a big brother and sister are supposed to do. The experiences that socialize are not limited to your child playing with their same-age group. By keeping your child home with you, and allowing them to go places with you, you are stretching their development, allowing them to learn how to act and what or what not to do, while still maintaining that all-important ability to correct bad behavior before it becomes a bad habit! Do you want a two-year-old teaching your two-year-old how to act? Or would you like to be the one to do that?Preschoolers are capable of learning how to share and pay attention to others’ feelings, but before then, we parents need to interact and teach. Prior to 3-to-3 ½, socialization is between you, your child, and playgroups, cousins, neighbor kids, etc. If you are a human being and you are interacting with your child, you are teaching them social skills and how to interact. 1) Our children’s identities are shaped by us at home, and not their peers. We teach them values, morals, how to be patient, teach discipline, reward them for a good job and teach that there are punishments for poor behavior. 2) The values and behaviors we want our children to emulate are those we show by example every day. We have to remember that we are our family’s compass of values. What we show and teach is what our children will emualte and learn. We do not have to be perfect moms all the time, but we do have to be working to be the best versions of ourselves that we can be. 3) Our children are secure thanks to knowing we are there for them when they need us; they don’t have to cope alone at such a young age. That was one of lessons I took away from working in daycare centers. I have no judgment for parents who use daycare, in fact, I think home daycares are your best option when you need to hire someone to care for your child. What are your thoughts about socialization and how it is used these days? 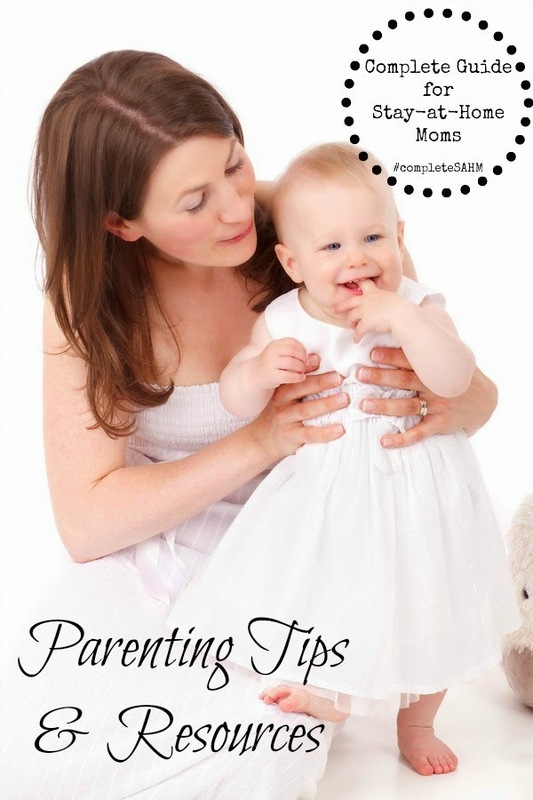 This post is featured in A Complete Guide for Stay-at-Home Moms: Parenting Tips. To view all of the articles shared, click HERE. As a social skills teacher, I feel this negates the importance of children to interact with each other and learn how to problem solve among their peer group. They’re going to constantly be around individuals you may not want them acting like. If you shelter them from this, you are not teaching them how to handle it. Peer influence has more effect than adult influence. At a certain age I would agree with you on the interacting with peers part. Toddlers don’t need peer interaction. Children who have learned HOW to interact need peer interaction. We are releasing our children into peer social situations too early in my opinion. Parental influence is never trumped by peer influence if we parents are present, firm and clear with our expectations. Do we choose to follow peers over our parents at certain stages? Yes. But, even in my teen years I knew that certain choices were not appropriate and chose differently because I knew my parents would be upset if I did them. 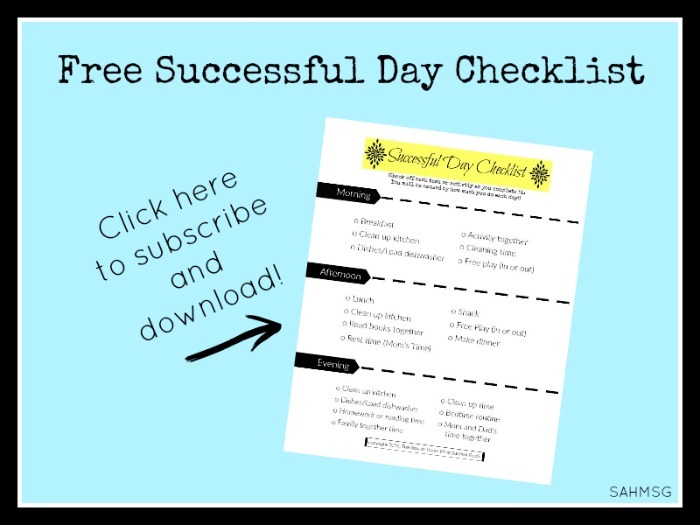 Children will make choices we parents do not like, but remaining set in our parenting plan will teach through those stages and help our children learn as they become adults. The article clearly states that parent-child socialization is much more important (in my experiences and opinion) than child-child socialization. My parents are still my life-long friends. My peers come and go often, but my parents are always there to support, guide and love. I would not worry about it if you are providing a loving home to your child. Often socializing with their peers teaches our children the wrong behaviors, unfortunately. 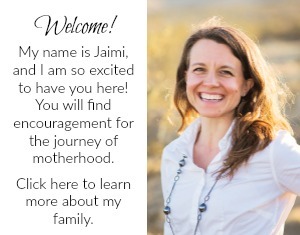 My second child is due on April 4, 2014, and I currently have an 18-month old son who attends a daycare center as my husband and I both work full time. I am quitting my job after my next baby is born. I was having doubts about taking my son out of the daycare center as I thought he would not be 'sociable' if he was at home with me every day. I loved reading your article. The things you stated really make sense and have made me feel so much better about the decision I am making to stay at home to raise my children. Thank you! That makes me feel so happy for you! What a great opportunity for your children to have more time with you. I hope it all goes well. I appreciate you sharing! It is amazing what children learn "just" by being home with us. They are little sponges! Enjoy! I am glad that it could be helpful. Take care and thanks for sharing your thoughts! Thanks for sharing Interesting post.Great job!! You have a nice blog for Preschool . I will be back alot Good luck with all you do! Thank you. I appreciate you taking the time to leave such a nice comment. Take care! 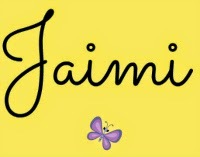 Thanks, Lani! I appreciate you taking the time to share your thoughts. Thank you for your kind comment. I am glad that you connected with it. It is a controversial topic. I appreciate you taking the time to comment.